Tributes to Mr Lee Kuan Yew have been made on almost every local news outlet. We don’t just see Generation X or Baby Boomers making these tributes. Generation Y has joined in too, writing beautifully moving pieces. Despite not having directly been under the late Mr Lee’s governance, we have reaped the benefits of his and his government’s hard work. The gratitude and respect the youths of today have for the late Mr Lee have been evident during this period of national mourning. Ngee Ann Polytechnic’s youth-centric online entertainment and lifestyle magazine, The UrbanWire, was one of those who featured a tribute to the late Mr Lee. A little out of place, considering The UrbanWire is known for their biting movie reviews and witty coverage of events. 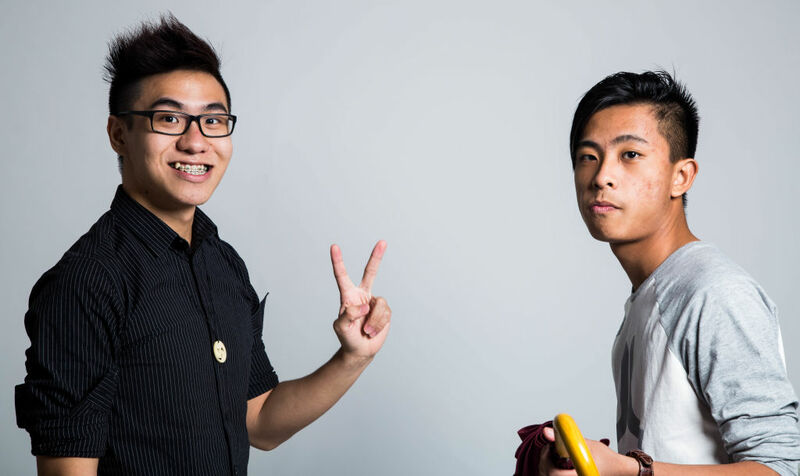 Popspoken spoke to The UrbanWire co-editors, Manfred Tham and Renald Loh on social media’s impact in the way people express opinions (good or bad), their take on Mr Lee’s relevance to youths, and the possible future for Singapore’s government. From your tribute, it’s very clear that you believe Mr Lee has made waves in Singapore. How do you think it’s relevant to Singaporean youths? Renald: It’s relevant simply for the fact that we stay in Singapore. Whatever that we have at this moment is not Lee Kuan Yew’s one-man work, but he was undoubtedly a major factor. By that reason alone, we are all affected by it and it’s relevant to us. Manfred: We need to learn from the past to go forward in the future. We can learn from the mistakes made in the past – what was done wrong, what was done right. I really believe in this. As Singaporean youths, we are the future for this country, and in fact, the future for this world. It’s good to learn from what this man did, and what he did was pretty amazing, considering what he had to work with. Ultimately, you have to be thankful. You kind of have a pretty good life here. Before Mr Lee’s passing, a lot of youths had no opinion on politics. Either that or they do have an opinion, but a negative one. From the last few days, it is evident that Singaporean youths actually care. Why do you think it’s made such a turn? R: If you go out there and say things like ‘I still dislike PAP’, you will get ripped apart. There will always be people who see things differently. It’s all about timing, and I believe this is not the best time to be spouting criticism. They’re just holding back. M: Why a lot of teenagers suddenly care, admittedly, is mostly because of social media and the fact that this is a pretty big bandwagon. However, they have a legitimate reason to be on it. Their friends start talking about it, then they realise they actually do care. We might disagree with politics, but we do care about Lee Kuan Yew’s passing. The man himself is a separate thing from his politics. This is the man who built the country. So, we care about Lee Kuan Yew as a person – as a man who founded the country. His politics are not the problem here; we care about him being gone now. Given that a lot of youths have social media to express their opinions — some, negative — and a lot of other people attack negative opinions, do you think people are entitled, or should still be allowed to express them? R: I believe everyone is entitled to their opinions; it’s just not really smart to go onto social media and say something that most people won’t agree with. If you choose to put it out there on a place like the Internet, get ready to get your opinion ripped apart. M: I’m with Renald on that. I think you definitely should be discussing Singapore’s politics as the youths, just that, as he said, if you put up any negative opinions in this time, you’re inviting trouble into your house. So, prepared to face the fire. But I think it’s actually one of the best times to bring [your opinions] up. It’s a very emotional moment. A lot of people are thinking about it. It’s probably the best time to raise such questions about politics, because they’re all thinking about it. But the thing is, a lot of people are not thinking about it objectively, they’re all emotional about it. They’re all thinking about Lee Kuan Yew’s death and not the work of our government. Lee Kuan Yew dealt with sensitive topics like race and sexuality. These are issues that have been heavily discussed in the recent years and are relevant to youths. He’s been discussing these topics decades before they became ‘hot’ — what do you think about this? M: How I view Lee Kuan Yew from his politics and what I know of him and of his works in the past, he’s liberal in the way he thinks. He’s very ‘this needs to be done for the betterment of all’. But he’s also very pragmatic, which is one of the greatest things about him being the leader of Singapore. Pragmatism allowed him to build a country in 40 years. He handles these issues in a way where he’s very callous, he’s very rough about it, because he’s more concerned with the big picture of unity, as compared to individual cultures and problems. I think this is the same thing for sexuality. He’s not against it, I think. He just wants us to be united as a country nonetheless because of this pragmatism. He was forward-thinking with his ways. Politicians, even now, shy away from things like this. You say that he’s very rough and straightforward. Do you think this is good? Even if they are politicians in the public eye of a more conservative country like Singapore? R: Regardless of what Lee Kuan Yew has said, it has undoubtedly resulted in what we have, what we are today. In a conservative country like Singapore, perhaps saying things that are unpopular may not be the smartest thing but like what Lee Kuan Yew has always said, all he thinks about is country, country, country. It’s always about what will eventually benefit the country in the future, and if it will upset people, even in a conservative society, then he will say it. M: Lee Kuan Yew was safe from backlash. Okay, hear me out. He can say whatever he likes, and in his entire political career, all the way up until his death, he’s ruffled a lot of feathers along the way. In terms of a purely Singaporean context, he could be frank and straightforward in a very conservative country. That’s because he had to. We needed to move forward as a country as much as we don’t like the man because of what he said, we had to stick with him because he was the one trying to push us forward. Back then, we were just trying to survive. Mr Lee is a very strong advocate of traditional Asian values. Youths of today have a different idea of what values are and what’s right and wrong. How do you think he has managed to bridge the gap and remained relevant to us? R: Our parents were brought up with those values, and they try to impart those values onto us. We have been brought up with these values, and even though we have grown to be more liberal and critical in our thinking, that was what our parents thought us first. M: That’s a very Asian thing, actually, that we have profound respect for our parents and their traditions, opinions and all that. Even moving into the future and being liberal and all, we still go ‘You know what, my parents said that, though’. It’s almost a Singaporean thing. It’s very kiasu, you go ‘might as well be safe’. I don’t think he’s bridged the gap. What the youths have now for Lee Kuan Yew, though, is as much of an understanding or respect. He’s analogue, we’re digital. How do you think local government might change in the coming years? R: That’s the thing, we don’t know. The next couple of decades are going to be quite unpredictable. M: I think it’s going to be fun. R: I think what’s more important is youths like us to start reading up and getting ourselves into politics because we are the people who are going to make up Singapore’s society in the future. We can’t make informed decisions if we’re not informed. What’s really important is for us to simply do proper research and form our own opinions before casting that vote, rather than going ‘my friends are doing this so I will too’, which is very prevalent nowadays. M: I think the next generation of government will have to do a lot of trial and error. We just don’t know, really. I think it’s going to be fun.